This plush adult jumpsuit fits up to a chest size of 42. 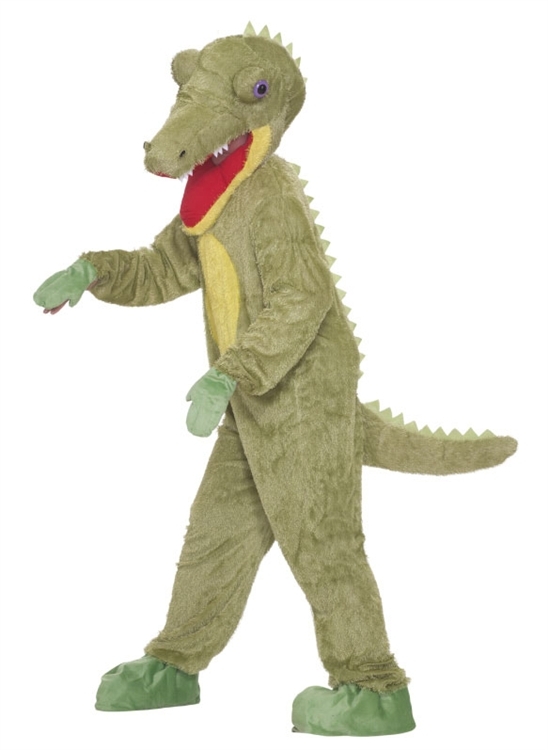 The included crocodile mask and headpiece fits over the head with the wearer able to see out of the mouth. Crikey!